Not be mistaken for the flat cap (which has a flatter shape and a shorter peak), the baker boy or newsboy cap is a cap of more generous proportions. This is one reason Karen likes to describe it as a ‘beret-cap’. 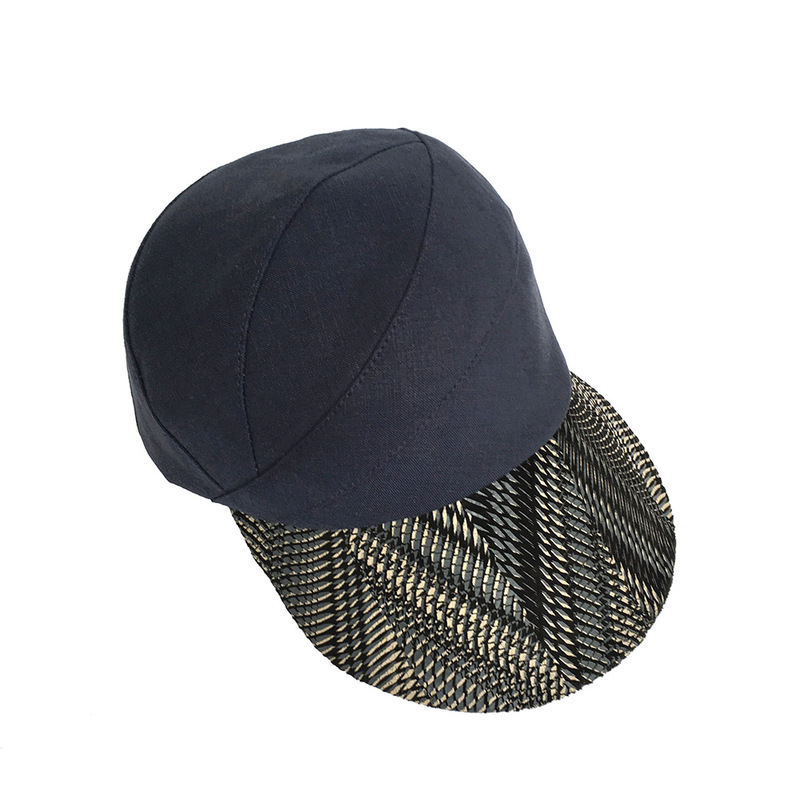 Also called Gatsby cap and newsie cap, it traditionally has 8 panels and a feature button in its centre. Worn by working class men and boys in England, Scotland and Ireland during the late 1800’s, as more workers emigrated to the USA in the early 1900’s the baker boy cap became ubiquitous everywhere, from buiding sites to docks, via factories. In the USA throughout 1910-1930 it beacame increasingly common for young boys to wear this style of cap while selling newspapers on the street, so the name newsboy cap was adopted. 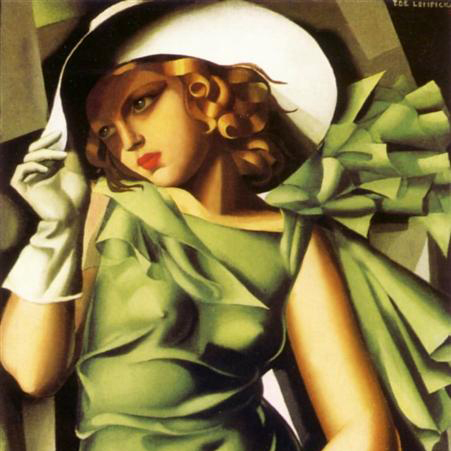 This was before the advent of baseball caps, which quickly replaced the tweed cap in later years. There is another reason for the uptake of the cap in everyday menswear: it goes back quite a few years. It’s quite amazing to think that an English Act of Parliament passed in the 16th century could have influenced men’s fashion in such a lasting way. Sumptuary Laws were intended to regulate the consumption of certain items: for example clothing, food or furniture, especially “inordinate expenditure” according to someone’s social rank. In an effort to reinforce social hierarchy and morals, as well as stimulate domestic sales of wool, the Act of Parliament passed in 1571 stated that boys and men over the age of 6, “except for the nobillity and persons of degree” should wear woollen caps on Sundays and Holidays, or face a fine of three farthings. Whether this law had much effect in keeping the everyman out of trouble is to be questioned - But the cap’s lasting legacy in everyday wear cannot be denied. With the return of Peaky Blinders this year, the popular television crime drama set in 1920s Birmingham in the aftermath of World War I, the baker boy or newsboy cap trend is looking set to continue. Pictured below are Karen’s own interpretations of this timeless classic. They are creatively designed using Karen’s signature pattern-cutting style, with a slight asymmetry. The baker boy-style beret-cap comes in two sizes: PB (left) is the more generous shape, while Perry (right) is designed with a narrower volume. Available in fine lambswool or Irish linen. See them in the shop. Face shapes and body shapes are an intuitive thing - you might have a general sense of what hats and flat caps work for you without knowing exactly why. It can sometimes be useful to hone in on these things when choosing clothes or a hat. Here are a few tips and suggestions for you to experiment with. We wanted to create a specific style guide for Karen’s extensive collection of men’s flat caps and men’s beret caps. Thanks to Karen’s creative approach to hat design and expert pattern-cutting skill, they are quite unlike any generic styles to be found on the high street - hence this style guide for men! Ask your friends / family to take a good look at your face! It’s generally easier for others to see. The main face shapes are: oval, round, diamond, square and heart-shape. Since we've begun the conversation on men’s face shapes, we are finding that most people are more than one shape, i.e. long oval, rounded square and so on. Add in the mix whether you have a long or short forehead, prominent ears, whether you wear glasses or a beard: you now have a whole load of variables beyond your face shape! It’s all about getting the right balance and proportion to suit your face. Everyone is different! Eric: Oval Face Shape. Eric wears Clive (left) and Assa (right). Photos from the Hats for Everyman Project. Eric suits many of hat styles with his oval face shape. With his longer forehead, we would suggest choosing deeper-fitting flat cap styles such as Clive, Otley, Shelvey, or any of the beret-caps. Alex’s long heart face shape suits fuller flat cap and beret cap shapes, to give a little extra width, and balance out the length of his face. Otley is the widest flat cap style. Clyde also adds extra width with that flattering softer beret-style cap. If you have a long face like Alex, avoid narrow hat styles or anything that adds height. Brandon’s oval face shape suits most hat styles. Generous berets and caps good if you happen to have generously-sized ears, as they helpfully cover and create more volume around this area. If you have a diamond face shape like Matt , pick out caps with a fair amount of depth and a bit of width too, such as Clive, Shelvey, Clyde or Assa. Diamond face shapes can be a little more tricky than other face shapes, but definitely avoid any flat cap that’s narrow or men’s hats that add a lot of height. James: long square face shape. James wears Gower (left), Skipton (centre), Assa (right). Photos from the Hats for Everyman Project. If you have a long square face shape like James, choose rounder shapes, such as flattering beret caps with a bit more volume. His beard is also helping to soften the straighness of his face. Peaks are helpful for glasses wearers as they add volume in front of your face. Choose colours that will contrast with you skin tone - generally avoid colours that are too close to your skin tone as it can make you look washed out. Matching your hat to your eye colour is pretty much guaranteed to look great - especially if you have blue or green eyes, look out for the lovely seagrass/ blue toning tweeds. Grey haired men shouldn’t shy away from wearing tones of grey, textured grey tweeds. Thanks for reading, hope you enjoyed these few pointers. Let us know your thoughts! Sign up to receive our delightful e-mail newsletter, which we send out every 4 to 6 weeks. Karen cares deeply about building long-term relationships with her clients - one aspect of this is to treat your personal data with complete confidentiality. Karen will never pass on your details and you can unsubscribe at any time. Find out more here. The Autumn season kicks off with a trio of London shows at South Bank, Kew Gardens and Marylebone. Karen will unveil her latest designs for Autumn/Winter 2018/19, which includes distinctive tailored flat caps, women's winter hats, trilby hats for men and women aswell as berets and cloche hats. Material Consequences is Karen's latest collaboration with five talented designer-makers and fellow Cockpit Arts residents. All are united by a thoughtful, innovative, and often playful approach to materials. Installed during The London Design Festival on the Southbank, Material Consequences will be showing from 20-23 September 2018 at Design Junction, Doon Street - Ground Floor, Stand C28. Alongside a selection of brimmed hats, flat caps, peaked caps and berets by Karen Henriksen you can discover one-off or limited edition pieces by jewellers Rentaro Nishimura, Petra Bishai, Tania Clarke Hall, by leather accessories designer Candice Lau and by printmaker Ruth Martin. Find out more about the Material Consequences designers here. We're returning to this elegant contemporary craft show in the stunning grounds of Kew Gardens. An oppotunity to explore the collection and try on men's and women's hats, and perhaps find the perfect winter hat to see you through the colder months! Blaize (pictured below) is a distinctive everyday cap for women, now available in rich teal wool tweed. The beautiful former church designed by Sir John Soane in Marylebone will once again be the setting for MADE London Marylebone, which returns with an exciting selection of contemporary craft makers. 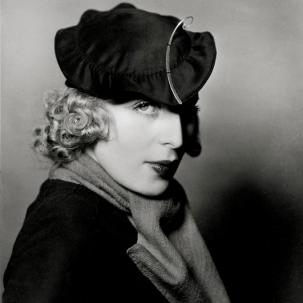 Expect to see a selection of winter flat caps for men, fedora and trilby hats for women, such as Bergman pictured below. Find out more about MADE Marylebone here. Pssst... Our secret sale starts soon! To make room for new styles, the secret sale is back with generous caps, trilby hats, visors and brimmed hats. Just in time for those late summer sunrays! The secret sale is only for our e-mail subscribers - just sign up here to get your access code. Once logged in, you'll be able to browse a range of discontinued styles and samples at 50% to 70% off, and a selection of current collection pieces at 20% off. The sale will run 7-21 August 2018. We're excited to be returning to Scoop this Summer, the prestigious trade event for fashion accessories at Saatchi Gallery from 22 to 24 July 2018. Karen will be presenting both Autumn/Winter 18/19 and Spring/Summer 19 from the women’s ready-to-wear range. The collections re-interpret everyday hat styles such as fedoras, caps, trilby hats and berets. Whilst often evocative of another era, the hats remain distinctly modern and practical, with a wonderfully informal elegance. Karen will also showcase the latest couture millinery collection, for the first time at Scoop. Similarly singular in its approach, this range combines traditional model millinery materials and techniques with contemporary applications and a flattering minimalist aesthetic. We are in the midst of preparations to attend the Seoul International Handmade Fair. Even though Karen's work can be seen in stockists in Korea, it's our first time taking part in a retail fair in Seoul. On display will be our range of tailored hats, including summery brimmed hats, asymmetric berets and beach-ready visors. 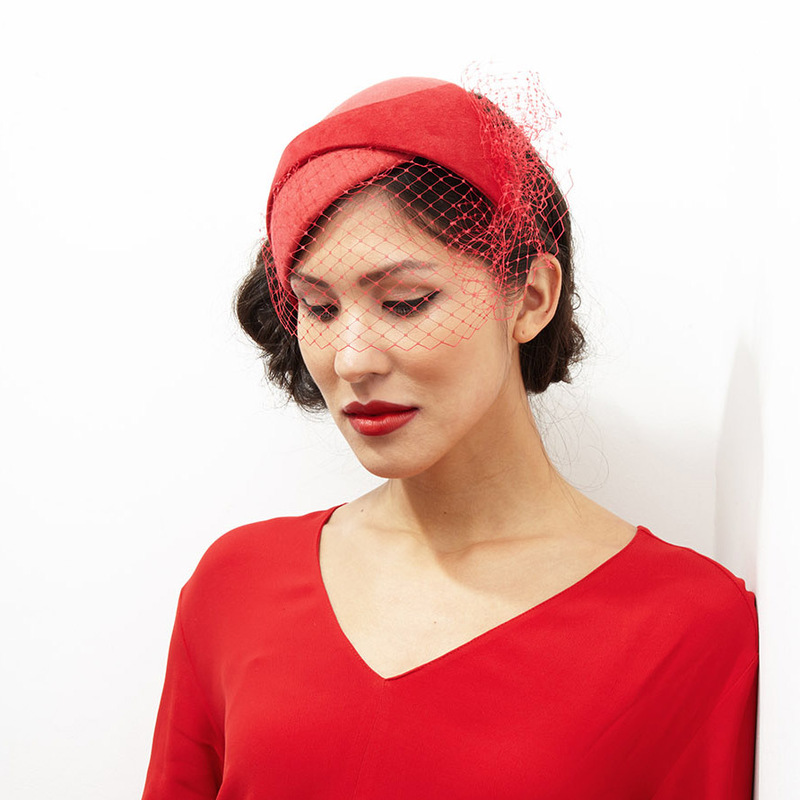 In particular Karen will be showcasing the Petra women's peaked cap (pictured). Petra now comes in 3 limited editions: black irish linen, red with a straw peak and navy blue with a striking printed suede peak. The fair is an ambitious show of all things handmade, taking place 24-27 May 2018. The Fair describes itself as a festival of handmade culture and we're thrilled to be taking part alongside fellow Cockpit Arts studio-holders Rentaro Nishimura (jewellery) and Studio Candice Lau (bags and accessories). Prior to the fair Karen will be stopping off in Hong Kong to visit our fabulous and long-standing stockist Hatwoman. Karen will be in-store offering styling advice to clients on Monday 21 May 2018, timings to be confirmed. Please get in touch if you're in Seoul or Hong Kong and would like to find out more. 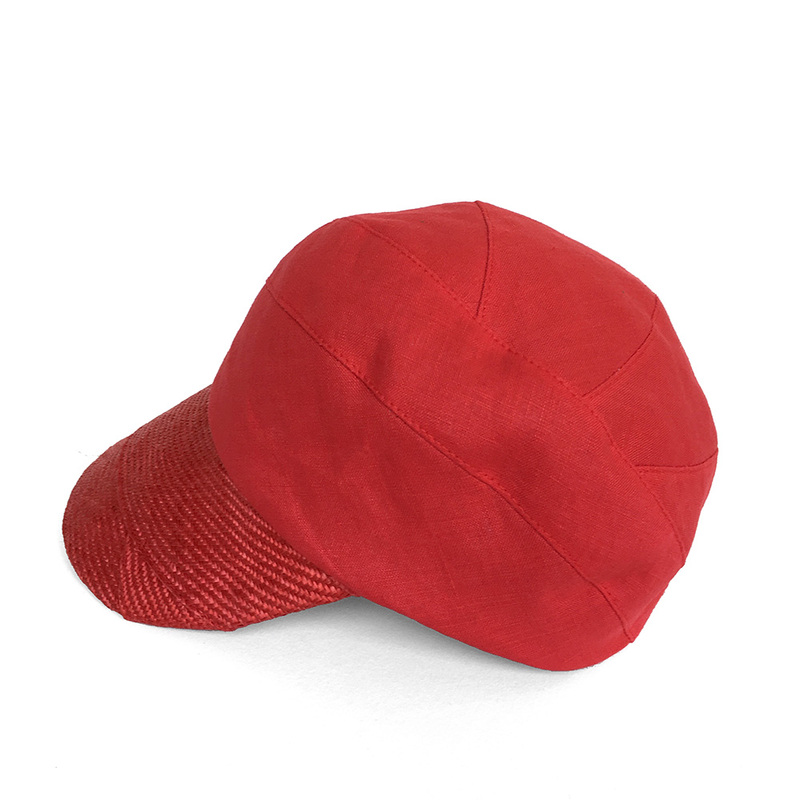 Karen has been working on a one-off hand-stitched brimmed hat in striking red felt and leather. 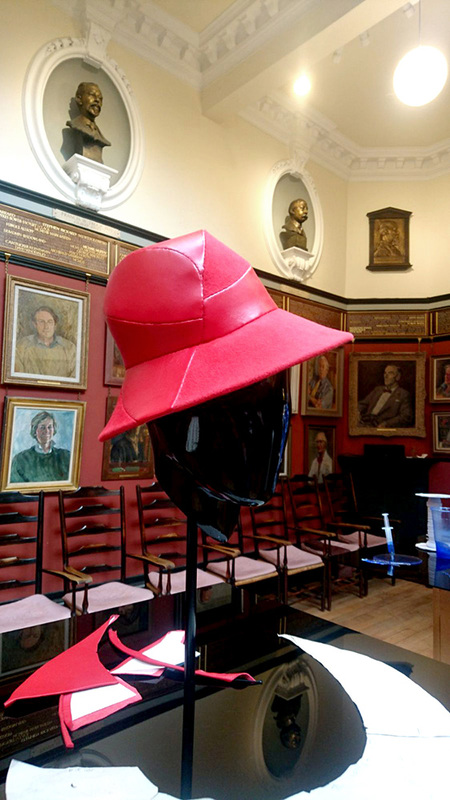 The hat was designed especially for this exciting exhibition, which showcases a number of talented milliners as part of London Craft Week. Supported by the Worshipful company of feltmakers, and hosted at the Art Workers Guild, a beautiful townhouse in Bloomsbury at 6 Queen Square, London WC1N 3AT. The exhibition will run 9-12 May 2018. 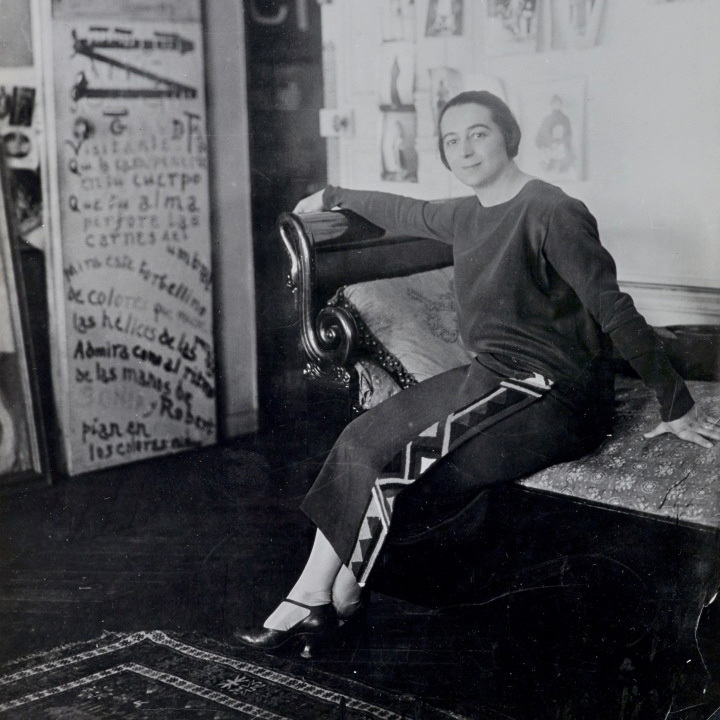 Entry to the exhibition is free. There will also be ticketed talks and demonstrations. Please see here for further details.